Includes one pump and one stopper. 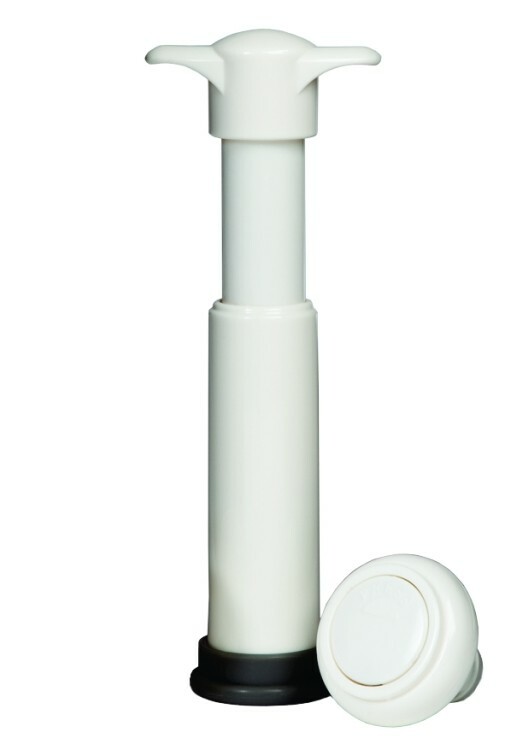 The reusable VinoVac™ Wine Saver System pumps air out to reseal unfinished wine. Vacuum is released by touching the "Press" marking on the top.